One Voice Manchester (2017) involved 15 schools and musicians from across Greater Manchester. Teachers delivered lessons based around the core message of 'shared values'. Schools subsequently developed their own community initiatives and a show case performance for a massed concert in the Bridgewater Hall. The participating head teachers and One Voice members were acknowledged by the Secretary of State for Education in the House of Commons in 2018 for their decision to continue with the concert in the aftermath of the MEN bombing. One Voice Manchester 2019 has just been launched in affiliation with the Mayor of Greater Manchester. One Voice is in talks with schools and education establishment across London with the intention of launching a One Voice London 2020. If you are a school or teacher interested in participating please make contact via our contact page. One Voice Sri Lanka was launched by Dr Sunil Kariyakarawana (One Voice Member and Buddhist Chaplain to the Armed Forces. 300 monks and religious leaders have signed up so far. The plan is for One Voice members and their families to tour India and Sri Lanka providing inspiration to children of all backgrounds. One Voice has pioneered discussion into the Armed Forces role in providing greater social mobility opportunities. HM Prison Initiative. One Voice developed a leadership scheme which will support offenders in the reform process. The six week programme, delivered by MoD instructors, provides selected offenders with skills such as; minute taking, agenda writing, leadership and teamwork. One Voice members deliver a lesson on 'values' and work directly with offenders in the development of a fundraising concert. 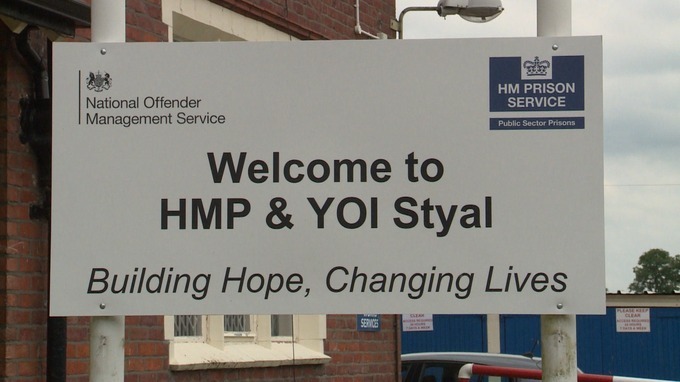 The hugely popular scheme has inspired hundreds of offenders to date.